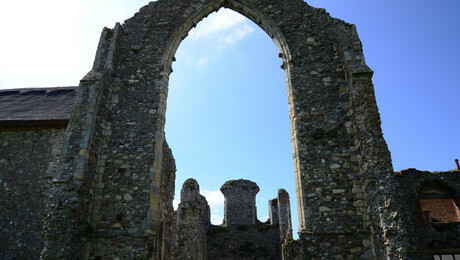 At over 700 years old, the ruins of Leiston Abbey are more than just a fantastic example of monastic architecture. 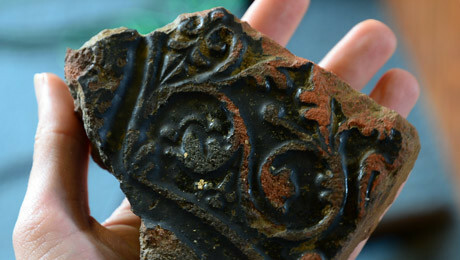 As one of the best-preserved examples of a Premonstratensian abbey in the United Kingdom, they are a window into the life and economy of a little-known medieval community. 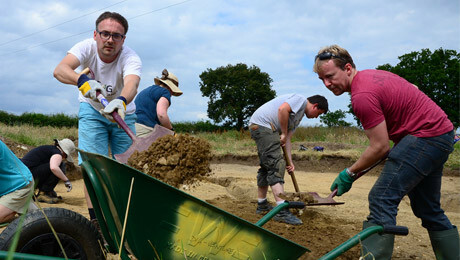 Close to the abbey walls and the site’s inner precinct, excavations have yielded evidence of domestic and spiritual life. In the surrounding fields, a series of earthworks provide clues to activities at the site’s periphery. Leiston Abbey stands on a gentle, south-facing slope just under 2km from the centre of Leiston, in coastal Suffolk. 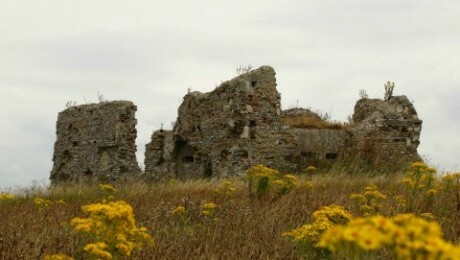 The ruins are considered to be one of the UK’s finest examples of medieval monastic architecture, and one of the few upstanding remains of the little-known Premonstratensian order. Around the site are also buried remains and signs of other buildings, evidence of an impressive landscaping project, and discarded material culture. 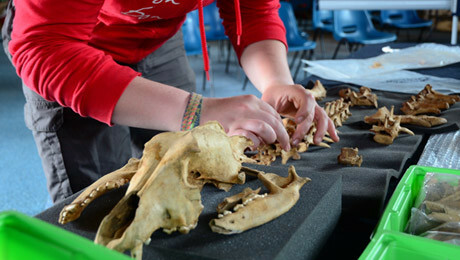 These standing and buried remains retain archaeological information about the physical and social organisation of the abbey, how it evolved and what happened to it after the Dissolution. At the centre of the site is the abbey’s inner precinct, a Scheduled Ancient Monument comprising the ruins of the abbey church and, against the south wall of the cloister, domestic buildings such as the wash-place, kitchen, lavatory, refectory, warming house, dormitories, chapter house and the sacristy (where books and vestments were kept). This was the centre of the monastic community’s religious, spiritual and domestic life, and our trenches in this area will help us understand how these spaces were used, and how this distinctive monastic architecture came to define and reinforce Premonstratensian identity and belief. In the fields beyond the abbey’s outer precinct lie the clues to an altogether different side of the community. A large community of lay brothers supported the canons in their day-to-day working lives, and only archaeology can reveal evidence for their unwritten story. Our trenches in this area will focus on the as yet unexplored earthworks in the fields to the west and north-west of the claustral complex. What activities took place here at the periphery of religious life? Are the enigmatic earthworks all contemporary with the abbey, or do we have evidence for an earlier moated medieval site situated here before the abbey was built? And what, as our excavations are revealing, can we learn from the traces of a much older, previously unknown prehistoric settlement? After the Dissolution, when the canons were expelled and the site became a working farm, reflected by a number of impressive Grade II listed buildings built into the abbey ruins, which are still in use today by the musical charity Pro Corda.